Since students can access the No Fear versions online for free, why not suggest or even encourage them to read them at home. And then read and teach the real text in class. Begin with a 15 Minute Play. There are eight of them on the Folger site. Pull out 30 juicy lines from the play you’ll be studying, put each line on a 3×5 note card, and give one to each student. Then they find a partner, come up with a scene using only the words on the cards, and perform the scene for the class. Instead of Made Easy texts, create a Made Shorter text. Using the Folger Digital Texts, copy a scene, paste it into a Word file, and edit it to a version that your students can handle. If you want to teach Iambic Pentameter, watch the video called Living Iambic Pentameter, but DO NOT SHOW IT TO YOUR CLASS. Instead, do your own version in class. No kid wants to watch other kids having fun. Those are just a few ways to get past the fear and teach Shakespeare for Real. Post your comments below with other suggestions. 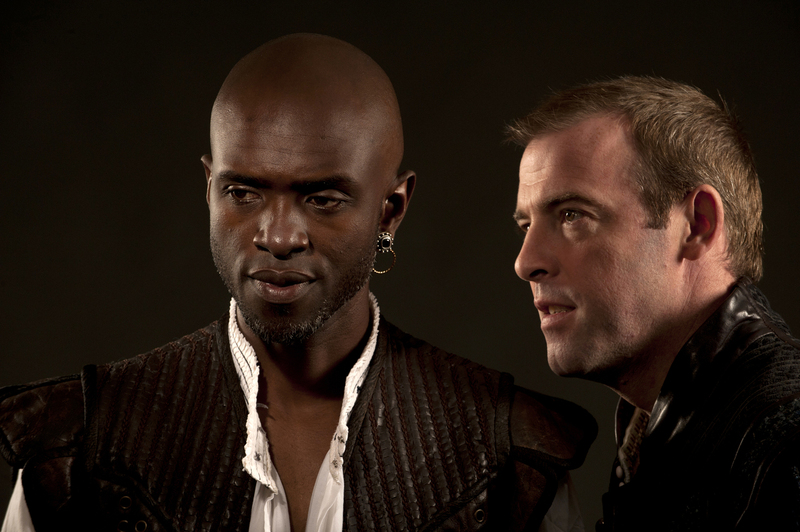 Owiso Odera (Othello) and Ian Merrill Peakes (Iago), Othello, directed by Robert Richmond, Folger Theatre, 2011. Today we’re featuring a lesson plan from among the highest rated teaching modules on our website. It’s written by Kevin J. Costa, a 2010 Teaching Shakespeare Institute alum and an English teacher at McDonogh School in Owings Mills, MD, where he also serves as Director of Fine & Performing Arts. “In this lesson, students will approach Shakespeare’s Othello through the lens of bullying — a modern-day adolescent problem of which students may have first-hand experience. By drawing on their own understanding of bullying and on definitions and descriptions of bullying widely available, students will have a powerful entry point into one of Shakespeare’s most psychologically complex plays. 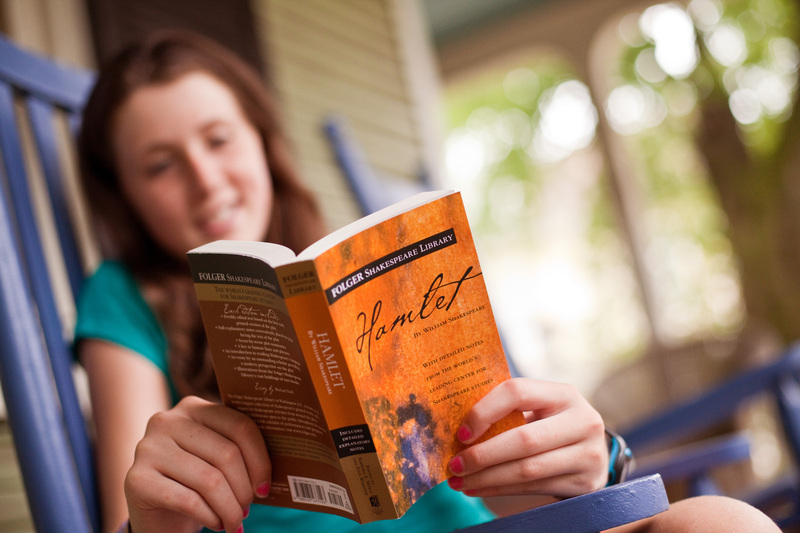 This lesson will likely provide ample opportunities to engage students in timely discussions of pressures they might be facing in their own experiences, and the hope is that beginning with a focus on a highly charged issue like bullying, this will allow students a way to start “doing” things with Shakespeare’s language instead of getting caught in the idea that they can’t understand it. An engaging issue can help students to bypass this block. Students will participate in a pre-reading discussion of bullying in order to establish definitions from which they will draw in discussions of the play as it is studied. At the conclusion of their reading, students will stage select scenes from the play in order to understand and assess whether characters in Othello are perpetrators and/or victims of bullying as our culture understands the term today. Final staging of scenes will follow the festival model proposed by Folger Education as a way of creating a capstone project for your study of the play. Interested? Read step-by-step instructions for this lesson plan on our website, where we also have links to related worksheets and a video. Emily Jordan Folger Children’s Festival, 2013. Last week we wrapped up our annual Secondary School Shakespeare Festival. 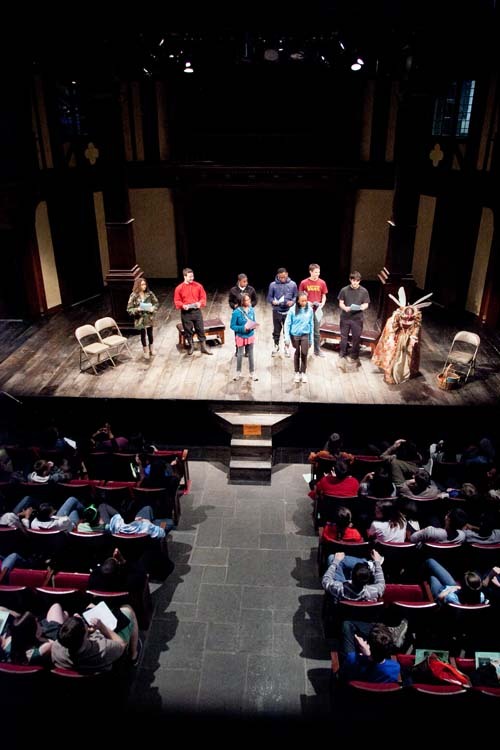 Students from close to 50 local schools performed 25-minute scenes from Shakespeare plays onstage at the Folger in front of their peers. Now we’re getting ready for our Children’s Festival in May, for local students in grades 3-6! We’ve got a great thing going on here in the DC area, but student Shakespeare festivals have cropped up in other parts of the U.S. too. There’s the Shakesperience: NJ festival in May, hosted by the Shakespeare Theatre of New Jersey in partnership with the Folger Shakespeare Library and Rider University. 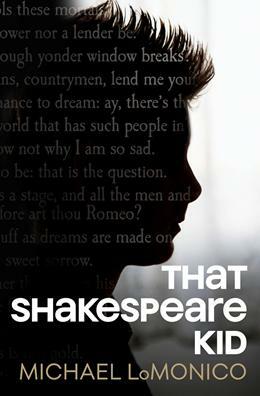 Then there’s the Shakespeare Scene Festival for middle school and high school students, held at the University of Arkansas at Little Rock–a festival that was inspired by a workshop at the Folger! We could go on naming them, but we want to ask you these questions: Is there a student Shakespeare festival in your area? If not, what’s standing in the way of you starting one? 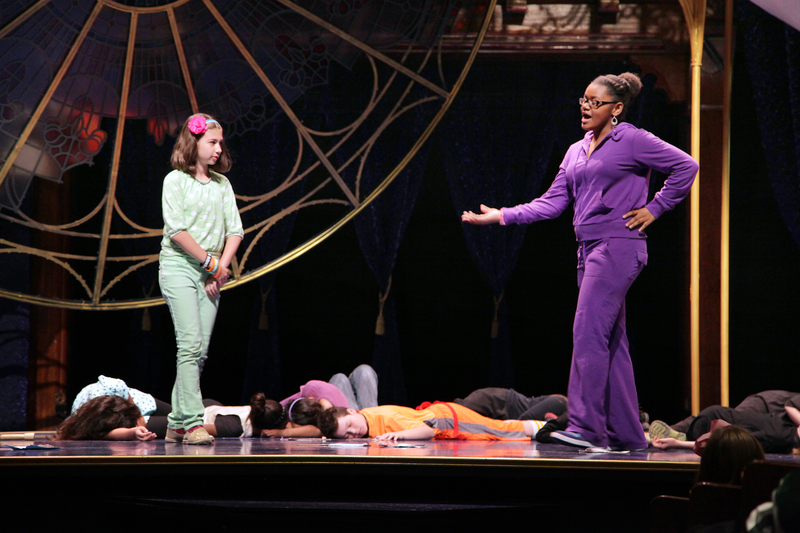 And if you’re participating in or preparing for a student Shakespeare festival right now, how’s it going? We’d love to hear from you and your students. 2013 Secondary School Festival. Folger Shakespeare Library. Let’s make a date for another day to have a longer, more nuanced conversation about the many parts of the Common Core. For now, I just want to say that if we could put politics aside and testing aside (and unfortunately, in our beloved field of education, we can put aside neither for long), the expectations for student mastery laid out in the Common Core are the same kinds of expectations that good teachers have had for their students for centuries. Centuries.